Springtime in Napa Valley is a glorious time to enjoy wine country as the vineyards spring to life, wine tasting and fine dining are on the upswing, and music and culture are alive everywhere. It’s dog walking season – strolls through nature with time spent with your best friends. And overhead, you’ll likely see a colorful hot air balloon Napa ride once again floating lazily above the Valley floor. If you’ve been looking for “balloon rides near me,” now is the time to book with Balloons Above the Valley! April is a pivotal month in Napa Valley. As the vines begin to rejuvenate, the vintners are working feverishly to adapt their strategies to climate conditions to ensure this year’s crop will be as good or better than the last. Meanwhile, the communities and businesses of Napa Valley are creating entertaining and educational programs to accommodate a new influx of visitors to the area. Following your unforgettable ride in a hot air balloon Napa Valley ride, check out these other April events. Contact the Uptown Theatre for more information. Enjoy the scenic routes through Napa Valley’s rolling hills while helping a worthy cause. Cyclists can choose to ride the 50, 25, or 15-miles courses. For avid runners, the Angwin to Angwish Half-Marathon and 10-K trail running events begin at Pacific Union College and ends at famous Angwish Hill. The event also features a 4-K Family Fun Run. 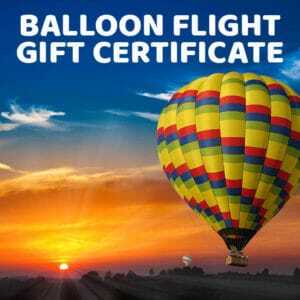 For the best hot air balloon Napa rides while in the Valley, contact Balloons Above the Valley. For over thirty years, we at Balloons Above the Valley have been providing memorable and safe hot air balloon Napa rides to thousands of Valley visitors. 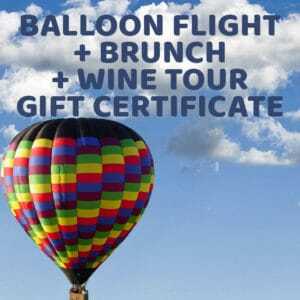 Individuals and groups have a choice of packages that include a hot air balloon Napa Valley ride piloted by one of our certified professionals, plus a gourmet brunch and even a winery tour. View our balloon ride packages to learn more about this unique experience and make reservations. Or, phone us at (800)-464-6824. Your search for “balloon rides near me” is over with Balloons Above the Valley.